I just spend a week on Cape Cod. It is possibly my favorite place on Earth. I have visited the town of Wellfleet every year since the day I was born. It is remarkable in that there are many fresh water kettle ponds very close to the ocean. In the middle of the 90 degree days, a swim in a pond was perfect. Then I would spend the early evening in the beach. As beautiful and relaxing as it was, I didn’t stop thinking about the environment, carbon or sea level rise.Newcomb Hollow Beach, our family’s favorite, had changed dramatically in one year, although it had actually gotten wider. At the same time, I could see erosion of the dunes. Two recent hurricanes had definitely made an impact. I enjoy taking pictures, especially while walking on the beach. What I don’t enjoy is seeing litter on the beaches. There were also a lot of signs trying to make sure that people were respectful to the environment. I’m glad that someone cares but also disappointed that the signs were necessary. 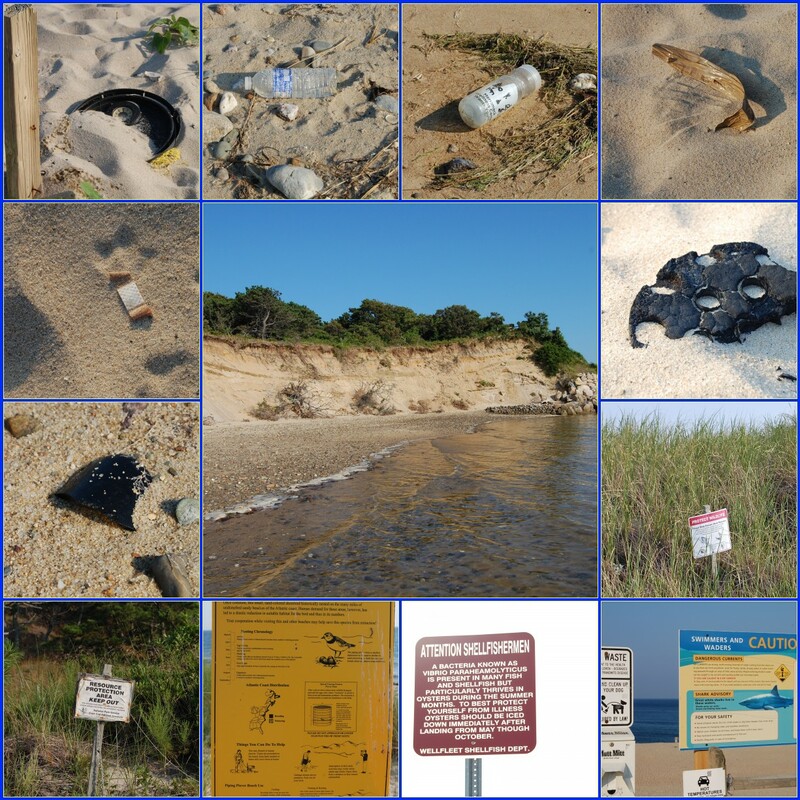 Categories: Environmental Impact, Personal Stories, the Beach | Tags: Beach, capecod, kettle ponds, newcomb hollow beach, Wellfleet | Permalink. I fell in love with the natural world in the summers at the beach. Every year my family spent at least a week on Cape Cod while I was growing up. And I have gone back for at least a few days every single year of my life, mostly still with my family. I’m not sure I’ll ever think anything is as beautiful as the beaches of Wellfleet. The water may be cold but to me it’s not the ocean unless it numbs your feet after ten minutes. I’ve seen those beaches in bright, hot sun and in wind and rain. But they are always beautiful. As I grew older and became more aware of humans’ devastating effects, I worry that all that amazing beauty is fading. I recently read in a book, Crazy Horse and Custer, about how when the English settlers first arrived in Ohio it was covered in beautiful forests. They spent years cutting down and burning all of those trees in the name of progress. I’d like to think that we (as in the human race) have learned better, but I fear that’s not the case. I believe that when it comes to confronting a societal problem (and I do think that our disregard for the Earth has become rooted in our society) the first step is awareness. And maybe with awareness and knowledge that will go with it, enough of us will take the correct steps toward fixing this problem. I have decided I need to do my part. 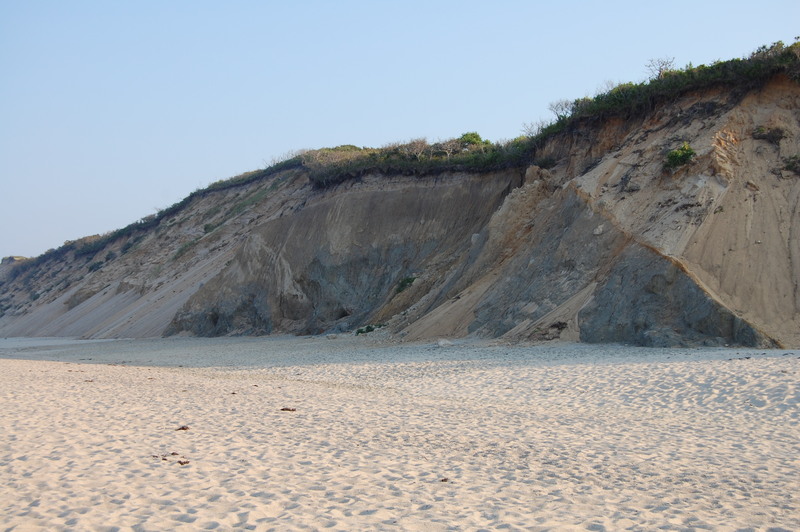 Categories: Personal Stories, the Beach | Tags: Beach, capecod, environment, Wellfleet | Permalink.